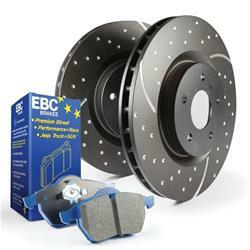 Notes: This kit includes 5000 Series Bluestuff pads and GD Series rotors. Is this front and rear? This kit is for the rear only.